I read this article and found it very interesting, thought it might be something for you. 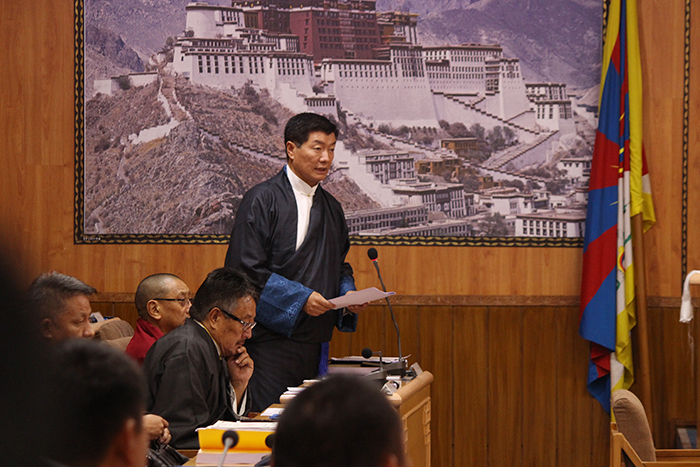 The article is called Fourth Day of 7th Session of 16th Tibetan Parliament-in-Exile and is located at https://tibet.net/2019/03/fourth-day-of-7th-session-of-16th-tibetan-parliament-in-exile/. 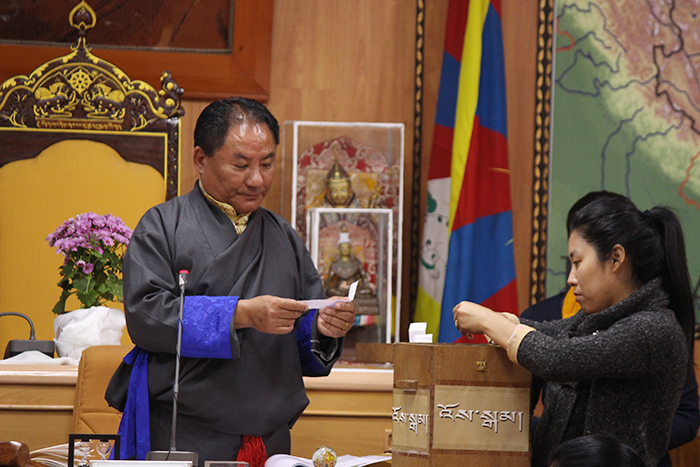 Speaker Pema Jungney counting the votes of the members of Tibetan parliament on the fourth day of the session. Dharamshala: Chaired by Speaker Pema Jungney, the fourth day of the seventh session of the 16th Tibetan Parliament-in-Exile saw the election of a new Kalon of the 15th Kashag. In accordance with the provisions in Article 22 of the Charter of Tibetans-in-Exile, President Dr. Lobsang Sangay presented Togyal Tsering Zongkha, Secretary of the Kashag Secretariat. Due to the absence of unanimous approval, Speaker called for vote on the candidate. Following a majority vote with 21 against 18 and 2 blank votes and 1 null vote, he was thereby, approved as the new Kalon by the members of the 16th Tibetan Parliament-in-Exile. The session proceeded with debate and approval of 2019-2020 proposed budgets of offices of Tibet under the Department of Information and International Relations viz., Tibet Bureau, Geneva; The Office of Tibet, London; The Tibet House Trust, London; Tibet Information Office, Canberra; Liaison Office of the H.H. the Dalai Lama, Tokyo and Tibetan Refugee Welfare Office, Kathmandu; Tibetan Culture and Information Centre, Moscow; Bureau du Tibet, Brussels; Bureau de Tibet, Paris; the Office of Tibet, Pretoria; Tibet Religious Foundation of H.H. the Dalai Lama, Taipei; Tibet House, Brazil; Offices of the Tibetan Freedom Movement; Election Commission and Public Service Commission. The session featured Question-Hour which is devoted to the questions raised by members of the parliament on any aspect of the administrative activity of CTA departments. 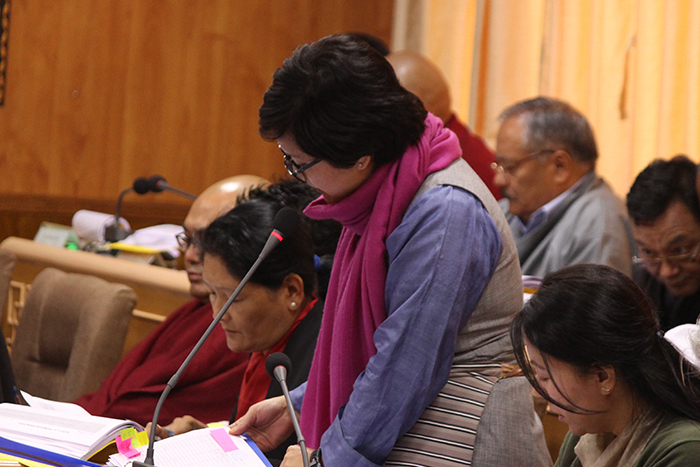 Parliamentarian Dawa Tsering read out the two starred questions for President Dr. Sangay, who responded to the concerned parliamentarian and addressed supplementary questions raised by other members of the parliament. President Dr Sangay nominating Topgyal Tsering Zongkha as Kalon of the 15th Kashag. Parliamentarian Dawa Tsering reading out the two starred questions on the fourth day of the session. 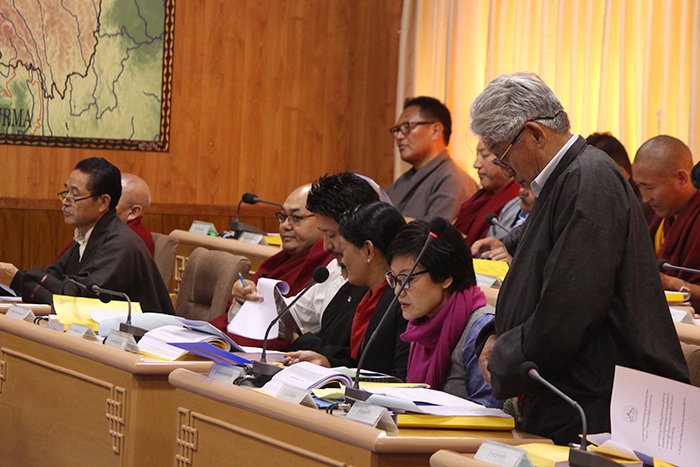 Parliamentarian Youdon Aukatsang participating in the fourth day session of the Tibetan parliament.